What to look for when buying a used Kia Forte? The Kia Forte is the Korean company's best-selling small car. Known by several names globally, the Forte was introduced into the United States in 2010. Sold as a coupe, sedan, and hatchback, the Forte entered its second generation of design in 2014. Powered by four-cylinder engines and known for its sporty driving nature and low cost, the Forte has been a popular entry-level purchase on the new market and a common used car purchase for commuters and as a second car. Marketed towards younger buyers, the Kia Forte sees a surprising number of older buyers looking for a sporty, economical, and low-cost car. It's often purchased as a daily commute vehicle or secondary car. Used Fortes are also often purchased as first cars for teenagers and college students. Although the Forte is sold at low cost and has a lower used car purchase price than competitors, the excellent warranty often means that it's a dependable choice even when used. The number of overall complaints from buyers are low in comparison to other models on the market. The most common complaint is with oil leaks in the first-generation Forte, often early in the car's life (under 20,000 miles). This is usually covered under the vehicle's warranty as a repair. The Kia Forte is an excellent choice for those looking for a low-cost, efficient, dependable option in a compact car. As a commute vehicle, second family car, or first car for younger buyers, a used Forte is a solid choice. Buyers should check the vehicle's maintenance history for warranty compliance before purchase, but will find assurance in the 10 year warranties given with most of these little cars. What Kia Forte model year and mileage can you get for your budget? The Kia Forte is an often overlooked compact car that revels in its own value-oriented pricing and unexpectedly good delivery. It's a car with a short price tag and a lot of almost-upscale fittings. The 2017 Kia Forte received some updated front-end styling, a few added options and a new S trim level for the sedan model with a sportier aim. A new base engine replaces the underpowered and outdated four-cylinder with a slightly larger one that also brings surprising fuel economy. Infotainment is upgraded and new advanced safety features are added as options for upper trims. We're fans of the Forte, one of the few compact cars available today that offers both comfort and a low price tag. It's never been a best-seller in the segment, but it stacks up very well against those that are. And with Kia's standard warranty being far beyond what others offer, that's nothing to be snide about. Sadly, the fun little two-door Forte Koup model has been dropped. But with all of the other improvements this car sees for 2017, that's a small price to pay. For 2016 the Forte remains available in either sedan form, as a two door Koup or as a Volkswagen Golf rivaling five door hatchback in the Forte5. Both the Koup and Forte5 are available with an optional and potently addictive 1.6 liter turbocharged 4-cylinder good for 201 horsepower/195 lb. feet of torque in SX trim. EX trim levels in all models get Kia's capable if a bit unexciting 2.0 liter naturally aspirated 4-cylinder good for 170 horsepower/154 lb. feet of torque. Base LX sedan models get a 1.8 liter 145 horsepower/130 lb. feet of torque 4-cylinder that thankfully is available with a manual gearbox. The EX trim level on the sedan and Forte5 with the 2.0-liter motor is automatic only. The Forte Koup, however, can be had with the 2.0-liter engine and a six-speed manual. Confused yet? We have yet to try the 1.8-liter motor so our comments here are relegated to the other two powertrain options. Both the 2.0 liter and 1.6 turbo engines are capable of keeping up with traffic, one just does it with more gusto and verve most especially when mated to the standard 6-speed manual gearbox which has a wide clutch bite point and makes smooth shifting easy. An equally competent 6-speed automatic is optional and the most widely chosen transmission. We do appreciate, however, that Kia offers a manual with each Forte model. Sadly, the Forte sedan is still unavailable with the turbocharged motor or in SX trim which we think is unfortunate. For our review, we managed to have a week in both a 2016 Kia Forte EX 2.0 liter 4-cylinder sedan with automatic as well as a Kia Forte Koup SX turbo with the manual gearbox. Efforts to try to Forte5 were met with a "How many Forte's do you want for one review?" We agree that the Forte5 mainly differs from these two bodystyles in that it offers a lot more utility what with it rather large hatchback cargo room—23.2 cubic feet and that's before you fold down the rear seats. So do check out the Forte5 SX if maximum space and pace is your priority. Now let's get on with the facts and nitpicking every aspect of the 2016 Kia Forte. You know you love it when we do this. 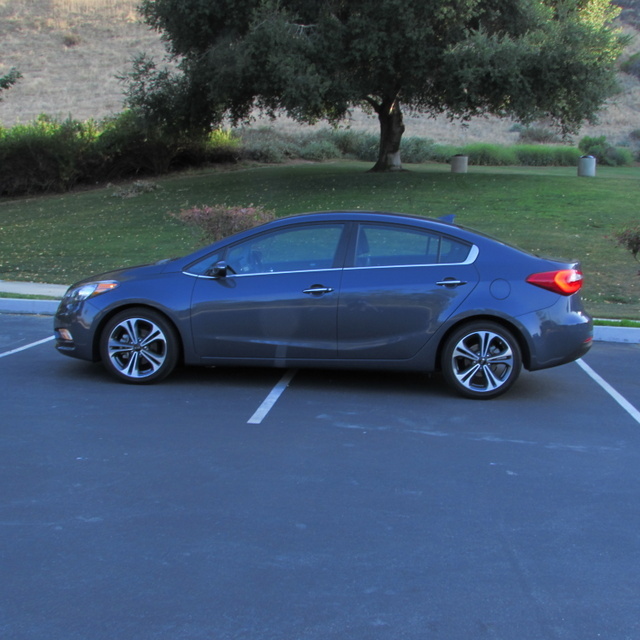 This comprehensive review of the truly exemplary 2014 Kia Forte sedan (it was totally redesigned for this model year) also marks the start of not only a clearer number based ratings system at iSeeCars.com but also marks the start of a 12 compact sedan review by review comparison test. At the end of reviewing all twelve models we will then publish a list of who was first and who most certainly was not. As for the number based rating system it will go from one (the lowest score) to ten (the highest) in each review category and, no, there will be no additional percentage point scores like 6.4. This is not the Olympics and we are not the judges from some recently independent Eastern Block Nation. Even we are not that picky and to us a cup holder design can make or break an interior. Included in the 12 will be the 2014 Honda Civic, Toyota Corolla, Volkswagen Jetta, Mazda3, Mitsubishi Lancer, Subaru Impreza, Ford Focus, Dodge Dart, Chevy Cruze, Hyundai Elantra, Nissan Sentra and, well, that's pretty much everyone. Yes, that's a lot of compact cars but this model class is not only huge from a sales volume perspective but also is one of the most fiercely competitive in the auto industry. So if you are a car shopper looking at a compact sedan take comfort that we are taking this endeavor very seriously so you make the best choice for you. 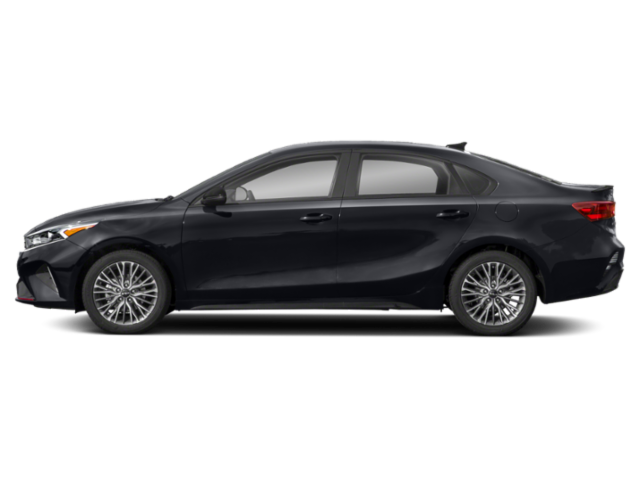 As one last side note, not only are cars like the Forte vital for people on a car buying budget but they also represent the advances smaller cars have made in this country due to many people choosing to "downsize" their next new car purchase. So while 8 years ago that Explorer seemed like a perfectly good commuter right now many want an affordable, fuel efficient, reliable yet still feature packed and fun to drive compact car. So, how did the latest Kia Forte fare during its weeklong stay with us? Read on to find out. Completely redesigned, the compact 2014 Kia Forte makes a stylish impression in available four-door sedan, five-door hatchback, and two-door coupe (Koup) versions. Spacious interior, upscale features, strong engines and lengthy warranty are other attributes compact car buyers may find appealing.